Fellow Survivors, Today we can share the release date for the critically acclaimed The Walking Dead: The Telltale Series – A New Frontier on a special season pass disc at retail, and announce the release window for the upcoming Episode 3: ‘Above the Law’. 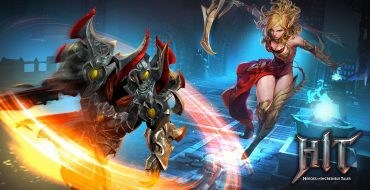 Fourth Quarter Revenues Exceeded Outlook Driven by Strong Performance in Asia, Especially Outperformance of Winter Update to Dungeon&Fighter in China TOKYO, February 10, 2017. NEXON Co., Ltd. (“Nexon”) (3659.